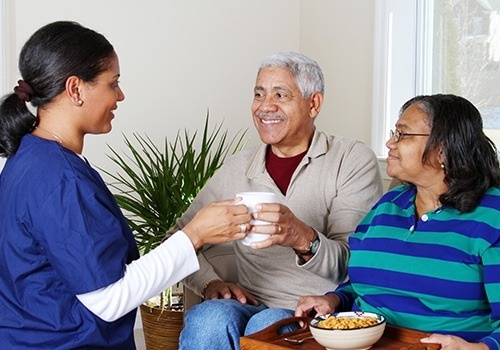 At Senior Citizens Choice, LLC, we pride ourselves on offering inclusive and customized elderly care services to help senior citizens live with independence, comfort, and peace of mind. We know and understand the unique needs of the elderly like the back of our hands, and we’re licensed by the State of Georgia to provide personal care and companionship to seniors. Trust our team to assist you in fulfilling your loved ones’ daily needs, and rest easy knowing that they are in good hands. Need Elderly Care Services? Call Us! Your search for the best elderly care company ends at Senior Citizens Choice, LLC. We are capable and experienced in helping seniors with their activities of daily living. From assisting them in taking a bath to accompanying them to medical appointments, our trained staff is at your service. Contact us today to discuss your needs with our personnel. We look forward to being of service to you and your family.